Take care of your skin while you’re carrying—and after your baby arrives. 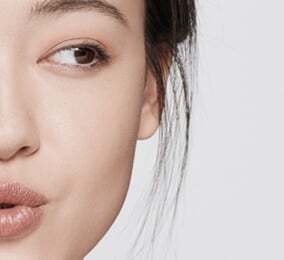 which means it’s time to adjust your beauty routine to your skin’s new needs. 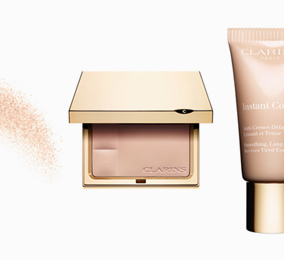 Keeping skin constantly hydrated is key to maintaining a radiant glow pre and post-pregnancy. Drink plenty of water and use a great moisturizer. 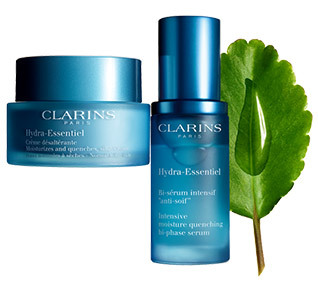 Clarins’ Hydra-Essentiel formulas plump skin with precious moisture and keep it there for hours of multi-level protection. Organic Leaf of Life extract boosts the skin’s natural hydration—leaving it comfortable, radiant and perfectly refreshed. Pair your Hydra Essential moisturizer with Hydra-Essential Bi-phase Serum for the ultimate super-quenching duo. Hydra-Essentiel Silky Cream-Normal to Dry Skin. Luxurious silky cream intensely hydrates thirsty skin for optimal comfort and radiance. Hydra-Essentiel Bi-phase Serum-Normal to Dry Skin. Lightweight serum quenches skin that feels tight, dehydrated and lacks radiance. Boosts the performance of Hydra-Essentiel Silky Cream.